Personal Cloud Allows You To Create Your Very Own Cloud That Is Accessible Outside The Home. STCR5000301 Personal Cloud Allows You To Create Your Very Own Cloud That Is Accessible Outside The Home. The Personal Cloud allows you to Centrally store and back up your content from all devices, automatically. With your Personal Cloud, you can securely access your content from anywhere and share. With the Personal Cloud you can Stream your music, movies or photos from your mobile devices or laptops, or go straight to your big screen TV for the full experience. 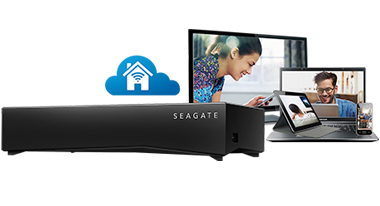 To Recieve updates and possible rewards for Seagate Personal Cloud 5TB please sign in. To Recieve updates and possible rewards for External Hard Drive please sign in.